Hi everyone! Today I have three cards to inspire you, these are basic cards that can be changed with a quick switch of the sentiment. I try to keep a few of these on hand for those “I totally forgot” occasions when I need a quick card. I stamped my sentiment, from the Living Water stamp set, onto kraft card stock and cut out using a die from Layered Lacey Squares. I cut a panel from the Blushing Rose paper collection and added it to my kraft A2 card base. Using the same die set I cut my background panel from kraft and rose card stock, added my sentiment and adhered the panel to my card base using foam tape. To finish this card I added a border from the Beautiful Borders die set, a few leaf sprigs from Fancy Foliage and Lovely Leaves and a little button. This simple black and white card uses the Vintage Flourish Pattern die to create the card base. I cut an opening on the front of the card base; the image is actually on the inside. The image and sentiment, from Living Water stamp set, were stamped with VersaMark and black embossing powder. The image was adhered to the inside of the card and the sentiment, cut out using a die from the Elegant Ovals die set, was added to the front with foam tape. My floral embellishment was made using Pretty Posies and Fancy Foliage dies. 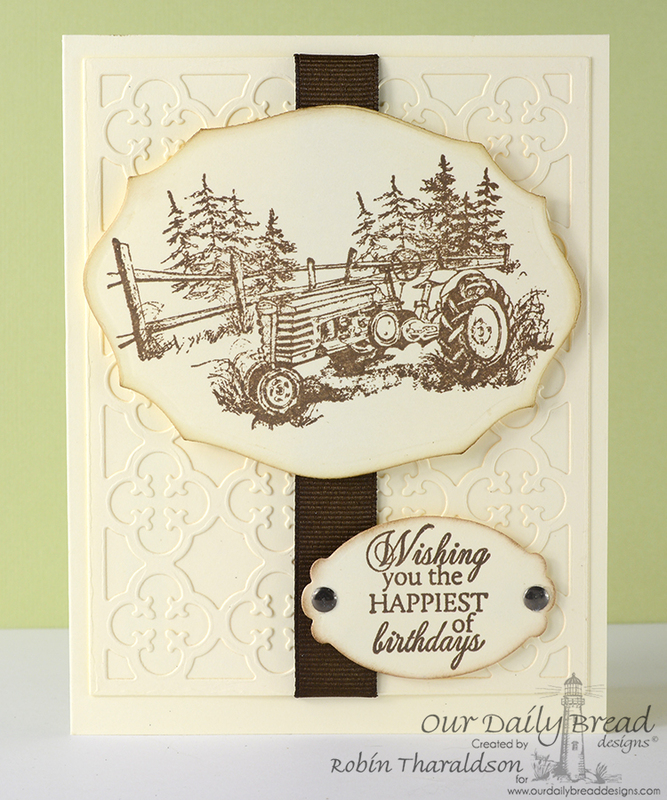 My last card features the image from Plough the Fields stamp set and a sentiment from Living Waters stamp set. Both were stamped with Memento Rich Cocoa and cut out using Elegant Ovals and Spellbinders dies. 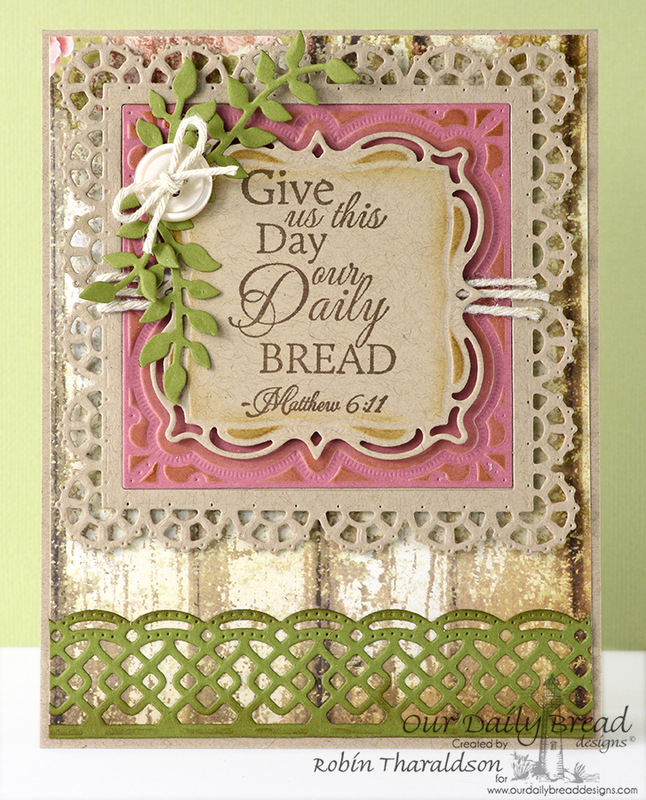 I used the Quatrefoil Pattern die to create a panel, that was wrapped with ribbon, for the front of my A2 card base. The image and sentiment were added using foam tape.